The commandments of the Lord are right, bringing joy to the heart. The commands of the Lord are clear, giving insight for living (v.8). As we ascended up and out of a dimly lit subway station, the street corner’s bright lights belied the evening dusk settling over the city. 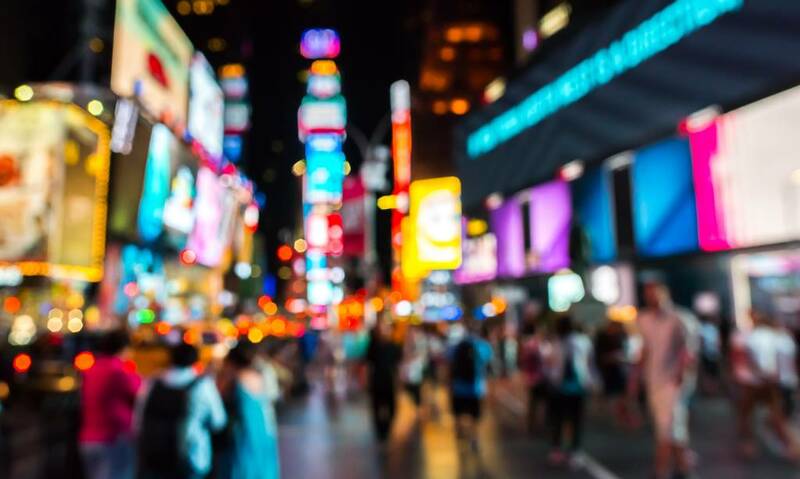 Although we had already been in New York City for several days on a family holiday, the activity of Times Square far surpassed any busyness we had yet encountered. Flashing advertisements, video screens playing production clips and the constant buzz of people and traffic met us everywhere we turned. Not a single corner of quiet could be found. Society today doesn’t often make room for silence and reflection. Whether the distractions come in the form of our own racing thoughts, demanding to-do lists or the delicate ding of a social media notification, we’re at the beck and call of a busy world. Learning to rest our minds and spirits amid the chaotic flow is no easy task, even when we know doing so is good for the soul. Just as the psalmist David needed to spend time in stillness and contemplation of God, our human need for stillness hasn’t changed. Busyness drives us into self, while quiet meditation reminds us how the skies wordlessly declare God’s greatness, power and faithfulness (Psalm 19:1-6). Our God stands above every aspect of our human concerns. When we take time to reflect on God’s Word, we create the room in our lives to absorb its truth, not only in our spirits but our thoughts and even our decision-making: “The instructions of the Lord are perfect, reviving the soul” (v.7). It’s in those moments we remember that His words are good and that He heals our brokenness (vv.9-13). Then we, like David, can ask God for purity of heart even as we worship Him—our “rock and [our] redeemer” (v.14). Read Psalm 77:6-14to see how meditating on God’s consistency and love for us strengthens our worship of Him even in our struggles with doubt. When has your ability to focus on the beauty of God’s creation or His character brought strength to you? How can you meditate on Him this week?